I finally made time to sit down and watch the return of Doctor Who tonight. 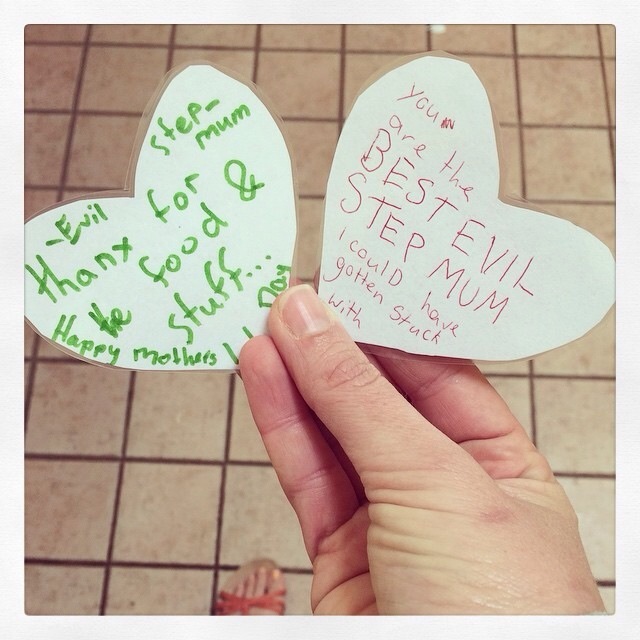 It’s the middle of school holidays here, with a gazillion things flying around our haphazardly scheduled lives. It would take a TARDIS with a bonus K-9 to find a spare moment for all of us to be together to watch our favourite television show. Short summary: It was worth the effort and the delay. This is something that has been building with anticipation for quite some time now. We’ve been over-analysing logos, and reading up on every piece of Doctor Who literature we could find. And yes, we have been revisiting a few old classics to fill the time. Tonight’s episode? Loved it. Really really enjoyed it. The new Doctor is brilliant as she learns about herself and balances all of her history. The new companions are warm and curious, with plenty of questions. Always a good thing. And the story was easy-going, with little distraction from the integral set-up required for the first episode of a new Doctor Who. So let’s deal with the pink elephant in the middle of the room. Yes. The Doctor is Now Female. And you want to know something? It was not a big deal, as per the storytelling itself. The Doctor is still The Doctor. She is still doing everything The Doctor has done previously: Turning up and fixing it. And that was it. No more discussion. He simply loved the whole episode. All three spawnlings loved the episode. Which leads me to this our youngest spawnling, Zaltu. Our little geek who is still trying to find her feet in the world. The smallest yet mightiest of the spawnlings who often feels torn between her love for Sylveon (pink ribbons and all) and her desire everyone last one of us with Link’s Master Sword. I still think she made a pretty kick-arse River Song but I am looking forward to the next opportunity. Speaking of which, I am buying this for her Solstice present in December: Doctor Who Limited Edition Barbie. Now, there are many mixed views on Barbie and the appropriateness of image portrayal for young kids. I’ll be honest with you: I too am mixed in my feelings. On one hand, I hate the whole idea of presenting women like pretty things with little substance. On the other hand, I still remember playing with my Rocker Barbie when I was 9-years-old because Barbie was the only doll/humanoid toy I could find as a tangible connection to my father’s music profession. For that alone, Mattel and Barbie have always been pretty good at offering Barbie dolls across various professions and geekdoms. Zaltu still loves her Batgirl Barbie and has been known to linger around the Wonder Woman Barbie and NASA Barbie in various stores. I know the Doctor Who Barbie isn’t solely aimed at 5-year-old Whovians but for us, it will be a nice tie-in to a television show we love as a family. A tangible connection for our geekdom. The Doctor Who Barbie doll is offered all around the world through various outlets. In Australia, it is exclusively available through EB Games and Zing Pop Culture. Pre-sale starts today so head in and chat with your local today (Tuesday 9 October, 2018). Total disclaimer: I have received no benefit or bonuses or payment for telling you about this. Once again, I’m just enjoying sharing the news with you … even if I do have to line-up like all you other minions. For years, I’ve been blaming the wrong person. For years, I have been teasing EG Dad about his need for structure and order. Clearly, our 17 years of non-fatal co-habitation shows he has mellowed over time, which has been good for him. Because there are very few neat-freak, organised perfectionists who can survive in a family of evil genius without succumbing to a bit of their own chaotic evil genius. It has been a huge sore point; to be completely honest, it still is. I am not a neat person. I often refer to it as organised chaos. But today I realised there is actually a lot of pattern to my madness. I would even go as far to admitting… I think I am the one who is obsessed with patterns, and not EG Dad obsessed with order. I love finding patterns in anything. To me, it’s the easiest method in problem solving. Look for the pattern and then analyse the bejebus out of it. Sounds very mathematical doesn’t it? And yet, ironically I was told at school I would never succeed at math; I had too much humanities and not enough logic. This year, Sinister is in year 6 OC (gifted program) and the homework aid usually falls to me, mostly due to time availability. And I’ll be honest: I am more self-conscious this year, with those long-ago voices rearing their ugly heads again. This is for test preparation and thus, time is of the essence. Now, for what it’s worth, the answer is D–36. Congratulations if you had that. Last night, there was no chance in any potential reality for me to have even guessed it right. But when I looked at it this morning, I sat down … And looked for the pattern. Calculate corners. Break it down to a smaller model. And then I looked around at my messy home, and realised even in my chaos, I can see the patterns. Which is why the mess never seems as bad to me as it does to others. The patterns soothe me. Like stanzas in poetry. Like Shakespeare’s spoken word. It is a musical flow that resonates with me, even to the point of observing and manipulating others. Both my mother and my high school math teacher had it wrong. My humanity did not exclude me from mathematics. In fact, it was a direct result of a core concept in mathematics: pattern recognition. I’m not saying maths will solve every human-related issue, but I now have a new way to approach homework this afternoon. I’ll be more confident. I will show a better way to break big problems to smaller problems to identify the patterns. I will show them better ways to build patterns from there, and thus manipulate their results. 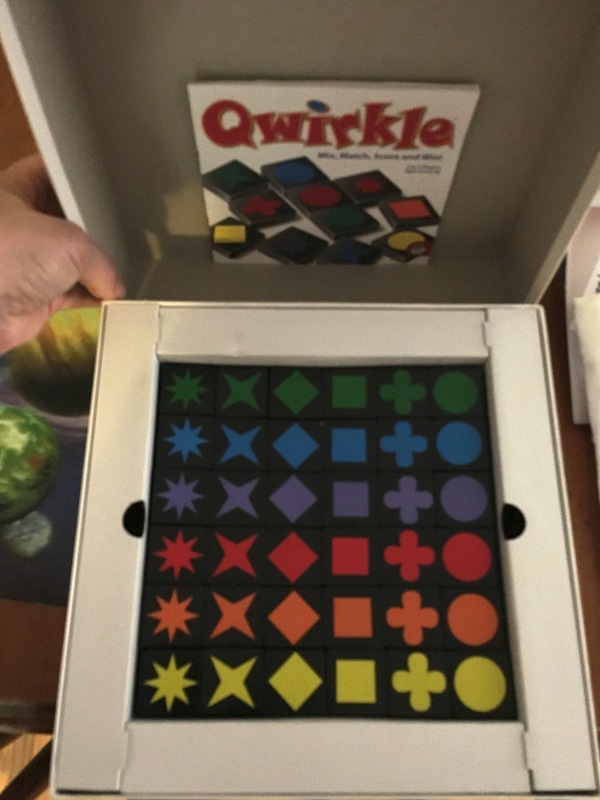 Let’s start with a game of Qwirkle and see how I go.